Getting the best portable electric stove is essential for those who like the outdoors. This would give you a lot of flexibility and portability. I have always liked camping and having barbecues so I have always wanted to get one for myself. I would always go back and forth with my purchase because I would always think that maybe I wouldn’t use it as often but the hassle of having to pre-cook food for camping trips eventually convinced me to buy a portable stove. This also meant that my family and I can eat hot meals and not a cold packed one during our trips. Aside from camping trips, having a portable stove gave me a lot of cooking flexibility. It extended gave me one more stove to cook at for parties and I would need to cook multiple meals. It’s also a great way to cook outside during the summer and having barbecues with friends and family. I won’t lie, the first thing that caught my eye with this stove from Secura is its sleek design. It looks really stylish and would definitely turn a lot of heads. However, I soon found out that it’s not just a good looking stove but it is also very functional and of great quality. It is lightweight and compact so you can bring it anywhere. It has a digital control panel which has a timer so you won’t have to worry about your food burning. Another great safety feature of this is that it has auto-pan detection. The stove will automatically shut down if there is no pan detected for 60 seconds. You’ll also be glad to know that it has 10 temperature ranges from 140 degrees Fahrenheit to 470 degrees Fahrenheit. 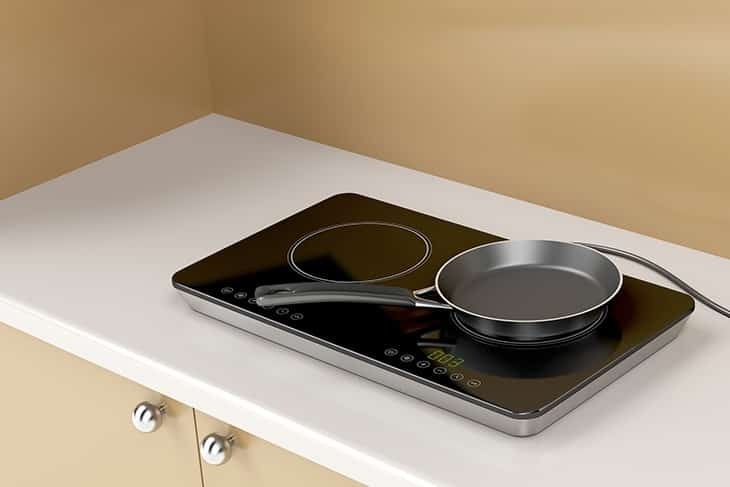 It utilizes induction cooking so it only heats your pan and not the surrounding area. This makes it safer to use outdoors. Compact and very portable so it is easy to bring with you on any trip. If you do not have induction compatible pans you would need to buy ones so this will be an extra cost for you. The control panel is made of plastic making it vulnerable to damage if a hot pan hits it. If you don’t want to switch to induction cooking yet and invest on all the pans yet, then getting this Imusa electric single burner is a great option for you. This burner is slim and light so it’s easy to pack away in your trunk for those camping trips. This is also a great option for those with small flats or those who are in dorms since this does not take up a lot of countertop space and can be easily stored in your cupboard. Another great feature of this is the heating coils which ensures that there is uniform cooking throughout your pan. It is slim and portable for easy storage and portability. You won’t need to buy new pans for this. It only has three temperature control options: low, medium, and high. There is no auto-off feature. The cord is a bit short so you would need to be near a socket most of the time. This Aroma Houseware single hot plate is durable and made of cast iron. It is compact and small so it can be easily stored away and if you’re leaving it on your countertop, it also won’t be taking up space. It also has four temperature settings so you can easily manipulate how hot you want your dish to be. Aside from this, it also has an indicator light which shows when it is on. This is a great safety feature so you won’t need to worry about not noticing if it is turned on or not. Cleaning this stove is very easy, it has a surface that does not allow food particles to stick to it so cleaning is just as easy as wiping it off. It has four different temperature levels for easy control. It is light and portable so easy to take wherever. Although the makeup of it seems very durable, it did stop working after just a couple of uses. Although the four temperature levels is a great feature, I found that this isn’t enough in getting the right temperature. It also has a tendency of getting too hot. Best portable electric #stove: A complete buying guide. This Cuisinart single burner is a great buddy for when you go out camping or for your small apartment. Despite being compact and small, it is powerful. It has 1300 watts for quick heating so no need to wait a long time to get it to the temperature you need. Speaking of temperature, this has six temperature settings which are a high number considering it is not an induction cooker. It also has a ready and an on light so you’ll know when your burner is ready to be used. It does not have coils for easy cleaning. Even though it does not have coils it still allows uniform cooking so you won’t have to worry about your dish not being cooked at the same time. 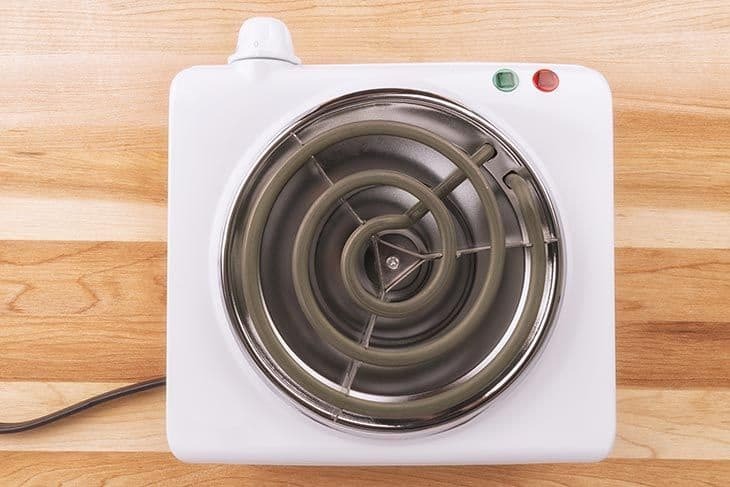 It has six temperature levels which are really commendable given that it is a burner. Although it does have 1300 watts it sometimes still takes some time to go to the maximum. When it does get hot it gets too hot that it becomes hard to handle. The make is not as durable as I want it to be. It is heavier than others on the list. What I love about this Black+Decker portable electric stove is that it has two burners instead of the usual single burner. This means double the dishes without sacrificing portability. It has a double burner without doubling the price. 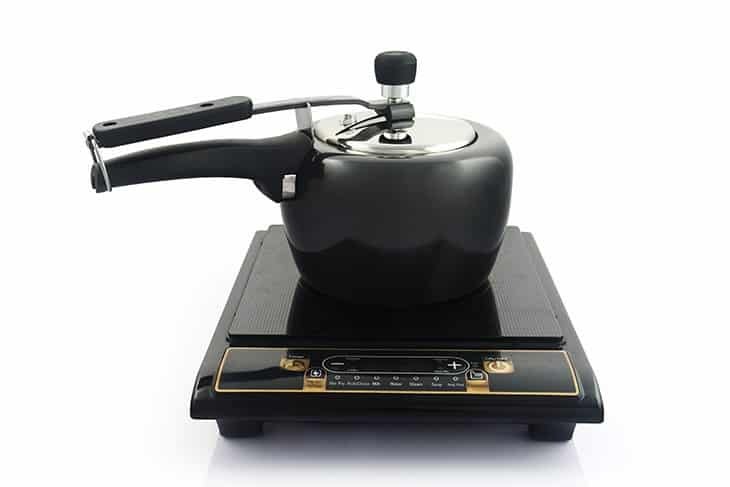 It has a coil burner which allows uniform cooking. This also doubles as a buffet range to keep your food warm on the table. It would have been better if both burners could be used for cooking. It broke down after just a couple of months of uses. When choosing the best portable electric stove for you, you should first look at what your needs are. You should really look into what you would primarily use your electric stove for. Would it be for camping trips, barbecues, or just in your kitchen? You should also consider how often you would be using the stove since this would also be a huge determinant of whether or not you’ll be getting the one that’s perfect for you. Having an electric stove with you for your camping trips would allow you to have a hot breakfast without going through the trouble of setting up a bonfire. I know that I wished I got an electric stove earlier on so I wouldn’t have had to wake up at the break of dawn to look for dry twigs. If you’ll be using your stove mostly for camping you should make portability one of your top priorities. You wouldn’t want to get stuck lugging around heavy equipment as you from one campsite to another. Having something compact would also make it easier for you to put it in your car or your RV. Aside from being portable, it would be best to get something that is durable enough to not break down because of environmental elements like water and dirt. I am sure that a lot of you are like me and love to spend weekends out of town. If you are getting an electric stove for this purpose, then get one that is rust proof would be best. Even a small amount of moisture can result in rusting and once the metal starts to rust the whole body of the stove would be vulnerable to falling apart. Aside from this, rust also makes your stove susceptible to harmful microorganisms. When I first moved into my dorm I can remember scratching my head over how I would be able to fit a stove in my “kitchen” (if you can even call it that). The solution I found is to get a portable electric stove. These are easily stowed away and does not need huge space on your countertop. If you’re going to be using your portable electric stove primarily at your home, it would be best to get one which has a double burner. This would allow you to cook more things and not be limited like you would with a single burner. Of course, this still depends on how much space is available in your kitchen. Since you will be using it mostly at home you also have the liberty to get something more digital and fancier since you won’t have to worry about any elements such as water ruining your stove. After using more than a handful of electric stoves, I would have to say that the Secura Induction Cooktop would be my top pick. It is an induction cooker so it is safer and there would be less chance of it heating up the surrounding area. This makes it safer for outdoor use since heat coming off of the stove might cause fire especially if there are dry leaves around. Aside from this, it is also the only one the list which is digital and very precise temperature control. Unlike the other which only allows you to have 3-7 temperature levels. The auto-pan detection feature is also a great additional safety measure. 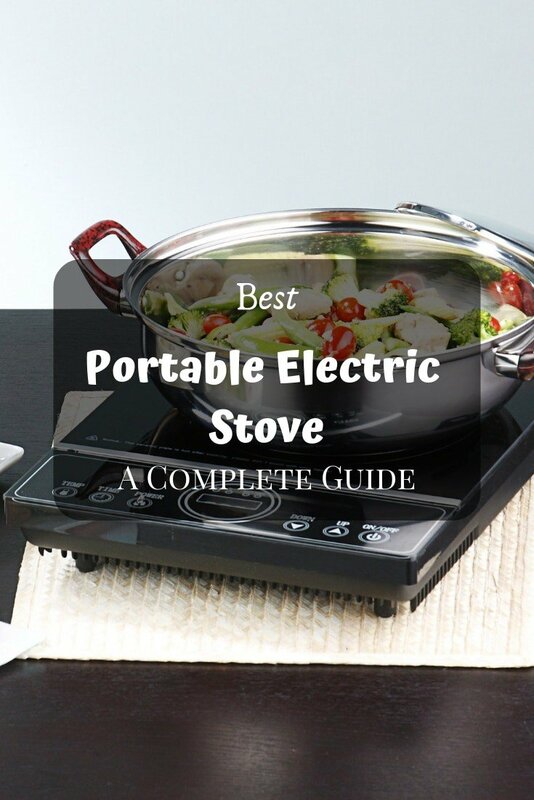 I hope that the list and tips would help you in choosing the best portable electric stove for you. Just keep in mind to get all the boxes ticked before deciding on which one is the best for you and your needs. Consider what your primary reason is for getting an electric stove and focus on the features you need for that specific environment. 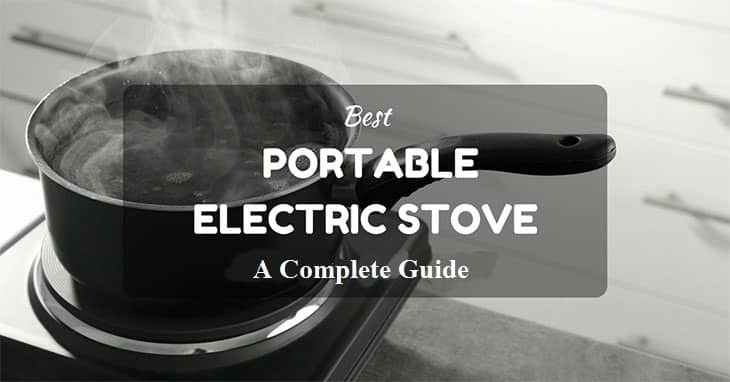 If you feel like I left out your favorite electric stove or maybe you have other tips you would want to share, please comment them below so the others can know about these tips. Until next time, happy cooking! Are You Curious: What Does Salmon Like?